Our local wildlife rehabbers Jodi Swenson and Erin Hutchings (CAPE ANN WILDLIFE) are on the front lines of trying to save our raptors from rodenticide poisoning. 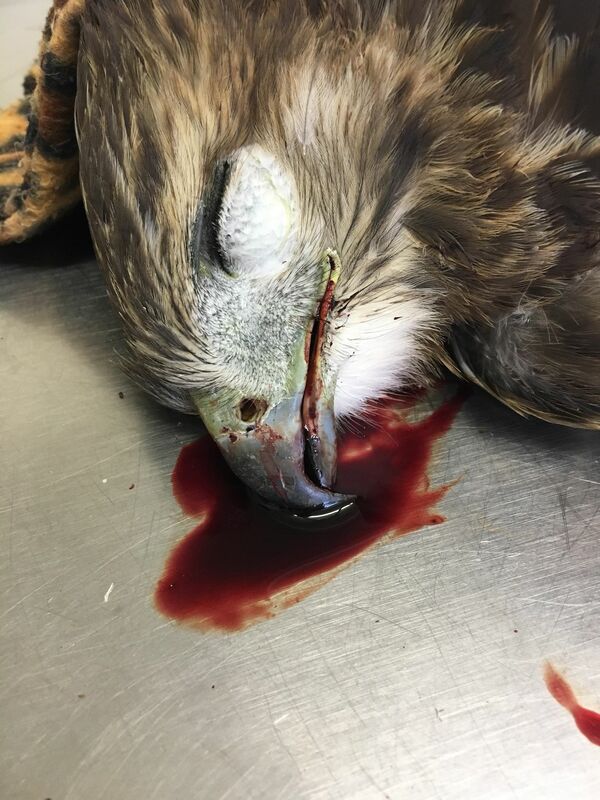 They have treated three juvenile Red-tailed hawks just this week alone. Two perished and a third is barely hanging on. Tufts does necropsies on all dead raptors-98 percent have rat poison in their system. Please see previous post about safer alternatives to the new second-generation deadly poisonous rodenticides. This entry was posted in Birds, Birds of New England, Cape Ann Wildlife and tagged ALTERNATIVES TO DEADLY SECOND-GENERATION RAT POISON, Barn Owls, Beautiful Birds of Cape Ann, brodifacoum, bromadiolone, d-Con, difenacoum, difethialone, Generation, Havoc, Hedwig eating a shrew, Hot Shot, how to get rid of rodents, juvenile Red-tailed Hawk, natural alternatives, predators, Red-tailed Hawk, second-generation rat poison, Snowy Owl on August 21, 2018 by Kim Smith.